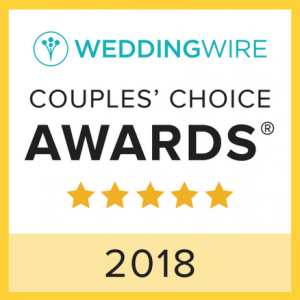 We are honored to receive the 2018 Wedding Wire Couples’ Choice Awards for Orange County Wedding Planners. This award recognizes the top 5% of wedding professionals nationwide who demonstrate excellence in quality, service, responsiveness and professionalism. Thank you to all our amazing couples that wrote raving reviews on Wedding Wire. We enjoyed planning your weddings this past year and witnessing every detail come together beautifully!